ST. GEORGE — While lawmakers in the nation’s capital bicker from afar over the particulars of budget legislation, in Garfield County, businesses and local officials are working to mitigate the fallout of the resulting government shutdown. Part of that effort has included working with several agencies and organizations to keep Bryce Canyon National Park open to visitors. Most of the park remains accessible to visitors, and fees are not being collected currently at the entrances. 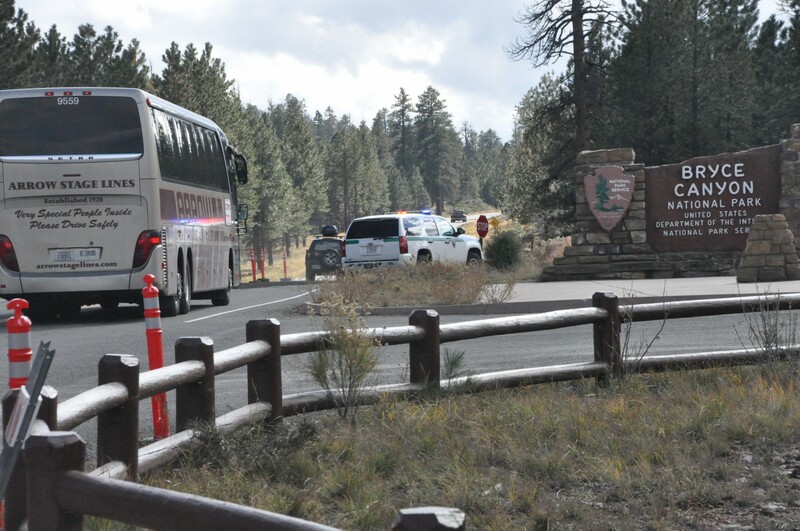 While Rainbow Gate is closed, the main road into the park is still open. Park Superintendent Linda Mazzu has been working with the Garfield County Commission to ensure the park remains a safe destination for visitors. The Garfield County Sheriff’s Office will provide emergency and law enforcement assistance if needed, and the county road department will offer snow plowing to some park roads as needed. 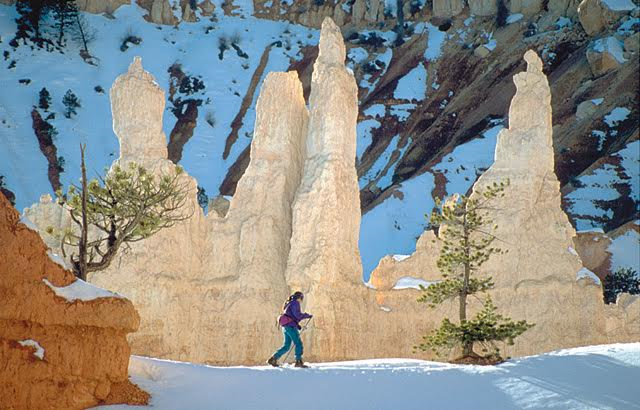 Unlike many other federally managed parks, even the visitor center will remain open from 9 a.m. to 3 p.m. with staffing support from the Bryce Canyon Natural History Association. The park’s rim trail will be accessible from Sunset Point, and the entrance to Mossy Cave will be plowed by the Utah Department of Transportation. Bryce Canyon National Park, which sees millions of visitors every year, acts as the main anchor for tourism in Garfield County. 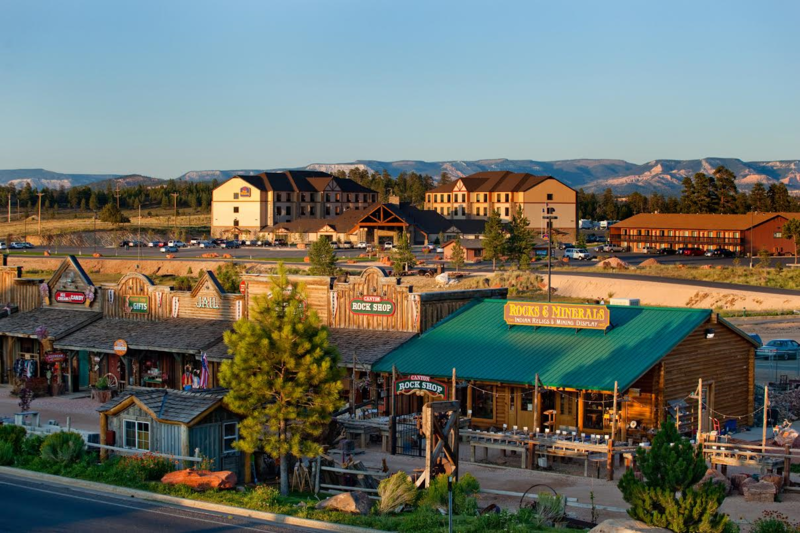 As the county’s economy relies primarily on tourism, a government shutdown has the potential to heavily affect area businesses. “We saw a dramatic increase in cancellations in the 2013 shutdown,” Garfield County Commissioner David Tebbs said. However, things are different this time around. In the 2013 shutdown, even areas that are otherwise open year-round without staff were cordoned off, such as the entrance to the popular Mossy Cave. At that time, the shutdown felt punitive, said Ruby’s Inn General Manager Lance Syrett. Ruby’s Inn is located at the entrance to the park and offers lodging in the form of hotel rooms, RV parks and campgrounds. While he said there have been few cancellations since the recent shutdown, which started Saturday, the long-term impact is what worries him. Frequent government shutdowns may have the side effect of discouraging tourism, Syrett said, because foreign travelers can’t count on the parks being consistently open. Other uncertainties, such as issues with park service reservation systems and the possibility of a fee hike, have the potential to negatively impact business, Syrett said. Since the 2013 shutdown, Tebbs said businesses and county officials worked out plans to keep things running in case of future shutdown, and those plans are now being implemented. Government shutdown: What comes Monday? Government shutdown begins. National park impacts in Southern Utah. Thanks to the locals having a contingency plan, and recognizing the significant economic impact of winter visitors, the experience should be “transparent” for the next few days, or weeks, until the drama-queens in DC make up their minds about a budget fix and DACA. ZNP should be equally accessible, and I am sure the folks in Springdale have taken steps to manage winter visitors, although steep trails covered in snow/ice might be a bit tricky to traverse. Memo to Joseph: perhaps touching base with the other Mighty 5 members and their operations during the shutdown, would be useful, if the shutdown drags in into mid-week.